They call it Brussels on the sea. You feel the grandeur as soon as you arrive. After crossing the misty, flat polders, the train passes under a stone bridge decorated with massive sculpted locomotives. Then it draws into a grand station built in the imposing style of the Belle Epoque. Modern apartment buildings glint in the weak light of a winter morning. Seagulls scream above clattering yacht masts. Children can hardly wait to get to the beach. Ostend is definitely not one of those upstart Belgian beach towns. It has history. The earliest traces of a settlement date back to the fourth century. During the Dutch Revolt, the inhabitants resisted the Spanish until Albrecht and Isabella finally conquered it after a four-year siege. A painting in the town museum shows the massive military machinery needed to bring the town to its knees. Originally a fishing port, Ostend began to change in the late 18th century. In 1783, the expatriate William Hesketh introduced the odd English idea of sea bathing. The locals thought he was mad, but Hesketh built up a healthy business renting out stripy bathing costumes and selling lemonade. The town began to take on a grander role after King Leopold I decided to spend summers here with his family in a town house in Langestraat. The former royal residence is now a crumbling building with dusty rooms, creaking stairs and peeling paint. Occupied by the local history museum, it is filled with a nostalgic collection of travel posters, model ships and old photos of the fish market. Adding to the building’s weirdness, the room where Queen Louise-Marie died of tuberculosis in 1850 has been preserved intact. A winding staircase leads up through the house to a tiny belvedere where the sickly queen would take in the sea view, after being hoisted up in a special chair. By the early 19th century, Ostend was teeming with British tourists. Many continental adventures began in the Belgian port, including Lord Byron’s travels in 1816 and Charlotte Brontë’s stay in Brussels in the 1840s. After a regular steamer service was launched in 1846, the crossing to Ostend became a popular literary theme, from Katharine Mansfield’s short story The Journey to Bruges to the customs house scene in D.H. Lawrence’s Women in Love. 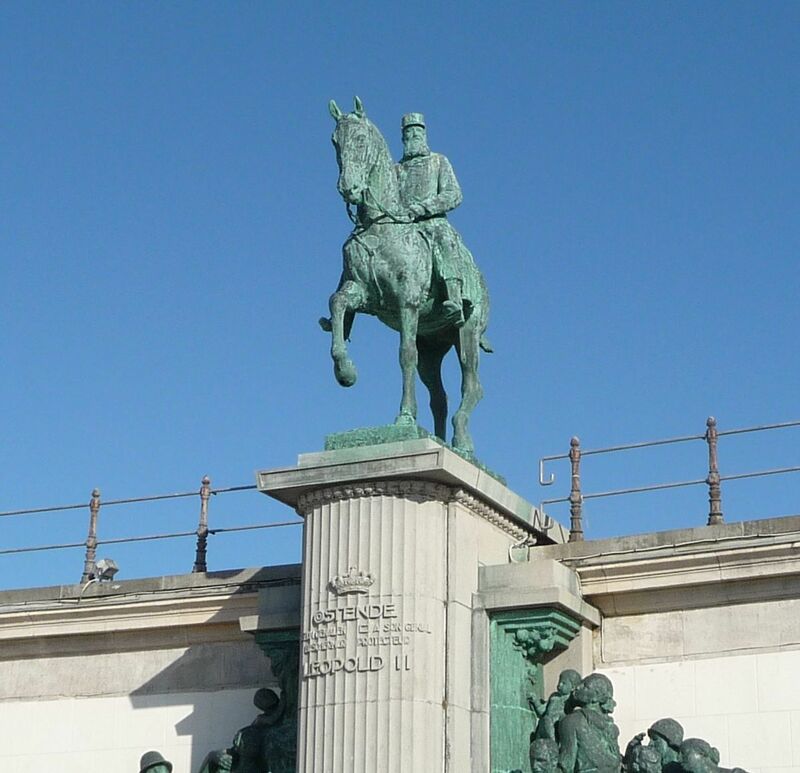 But it was Leopold II who gave Ostend its haughty grandeur. Funnelling wealth from the Congo, he employed his favourite architects to build a grand Venetian colonnade, a royal villa and a Hippodrome. He also added wooden stables in an eccentric Norwegian style, as well as planting a Japanese garden behind a high wall in the royal park. The king sits proudly on his horse facing out to sea above a bronze monument titled The Grateful Congolese. Below the king, Congolese people are shown worshipping the king, along with a group of Ostend fishermen. But if you look closely, one of the Africans has lost his hand. It was hacked off in 2004 by a local action group called De Stoete Oostendenaere (The Sturdy Ostender) in protest at crimes committed in Leopold’s African colony. Love him or not, Leopold turned Ostend into the grandest resort on the North Sea. It became known as la Reine des Plages, the Queen of Beaches, attracting a steady flow of royalty, dukes, industrialists and generals. But there was always something seedy about the place. Behind the grand hotels and seaside villas, there were dark streets with louche bars. The eccentric artist James Ensor fitted perfectly into this dubious seaside resort. He was a typical Ostend creation – the son of a melancholy British father and a stern Flemish mother. The house where he lived is now a small museum. It’s a weird little place near the seawall with a cluttered souvenir shop on the ground floor and a stuffy living room on the first floor filled with oversized sofas and exotic Chinese masks. Following the record-breaking 2016 sale of his painting Skeleton Arresting Masked Revellers, the city began to realise Ensor was more than a local eccentric. 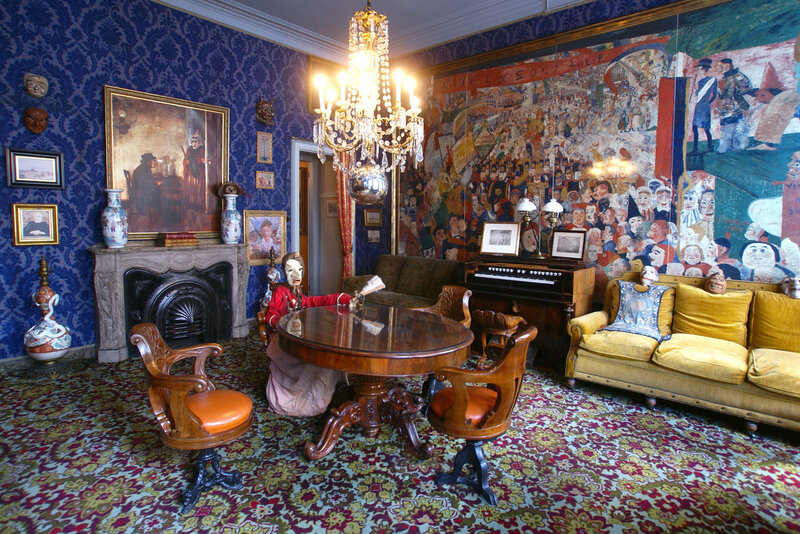 The authorities began work on a new Ensor Experience Centre linked to Ensor’s house where visitors would get a deeper understanding of this baffling Flemish artist (it is due to open in 2019). Ensor wasn’t the only artist to find inspiration in Ostend. 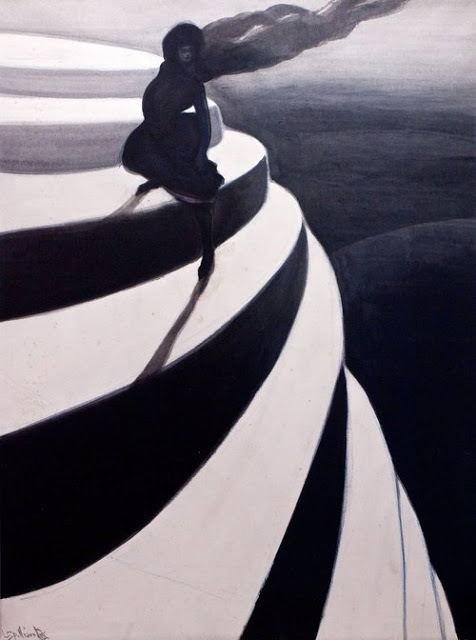 The pale, permanently ill symbolist Léon Spilliaert spent endless sleepless nights wandering the gloomy colonnades and deserted promenade. 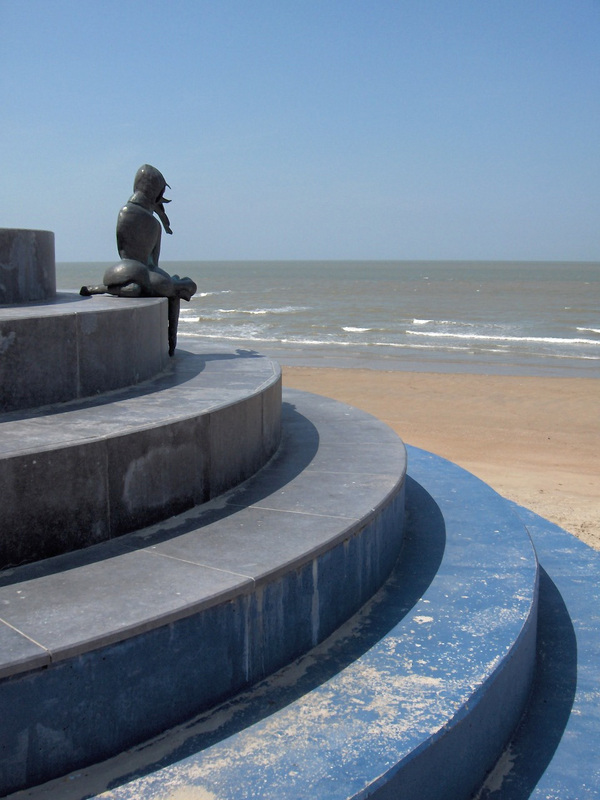 When the town renovated its seawall in 1998, the sculptor Herlinde Seynaeve created a Hommage to Spilliaert modelled on his mysterious painting Vertigo. This ambitious installation shows a solitary girl standing on a circular monument with her hair blowing in the wind. Ostend had only recently finished work on the new seawall when the Channel Tunnel opened in 1994. Soon, no one wanted to cross the heaving North Sea in a ferry that stank of fried food. The last Dover-Ostend ferry sailed in 1994 (although the service was briefly relaunched a few years later). 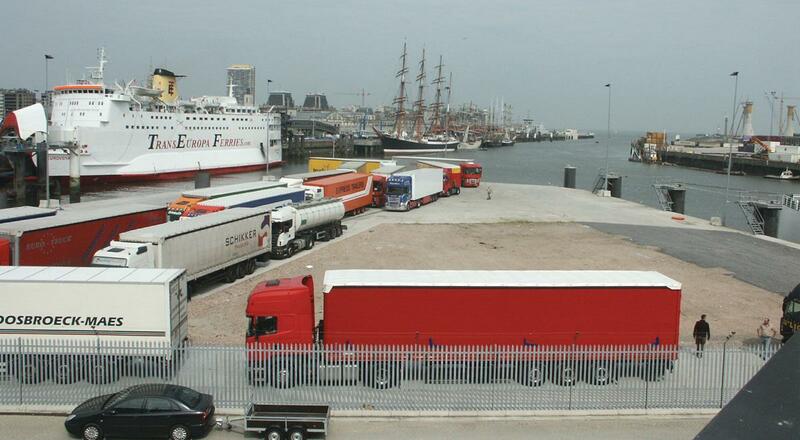 The port that had linked Belgium and Britain for 150 years had to find another way to fill its hotels. Ostend came up with the ambitious idea of becoming an art town on the coast. It wasn’t such a bad plan. Ostend had a history of artists and writers living in the town. In the mid-1930s, a group of exiled German writers washed up in Ostend, including Joseph Roth and Stefan Zweig. Volker Weidermann’s Summer Before the Dark vividly tells the story of this community of lost souls. 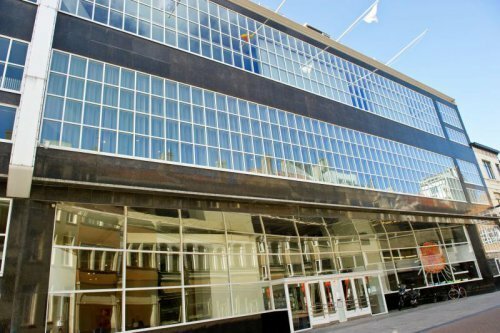 Ostend began to assert its new identity in 2008 when the art museum Mu.ZEE opened in a modernist department store designed by Gaston Eysselinck. 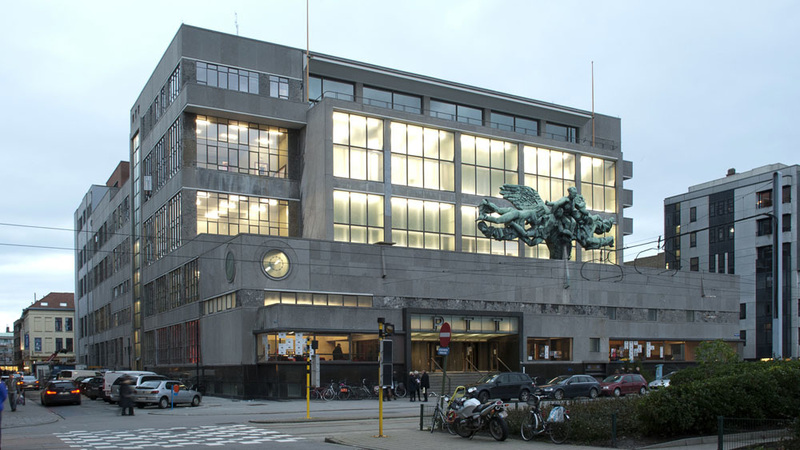 Four years later, Eysselinck’s stunning post office of 1947 was renovated by Antwerp architects B-architecten to house De Grote Post cultural centre. The CultuurCafé inside De Grote Post has become a meeting spot for Ostend’s growing community of artists, writers and gallery owners. The old telephone cabins along one wall now frame Pieter Clicteur’s large photographs of 12 Flemish creatives, from graphic designer Eva Mouton to actor Wim Opbrouck. The sea change didn’t stop there. In 2016, Mu.ZEE opened a new wing dedicated to Ensor and Spilliaert. The vast white interiors provide a striking background for an eclectic mix of paintings, documents and photographs illustrating Ostend in its glory years. 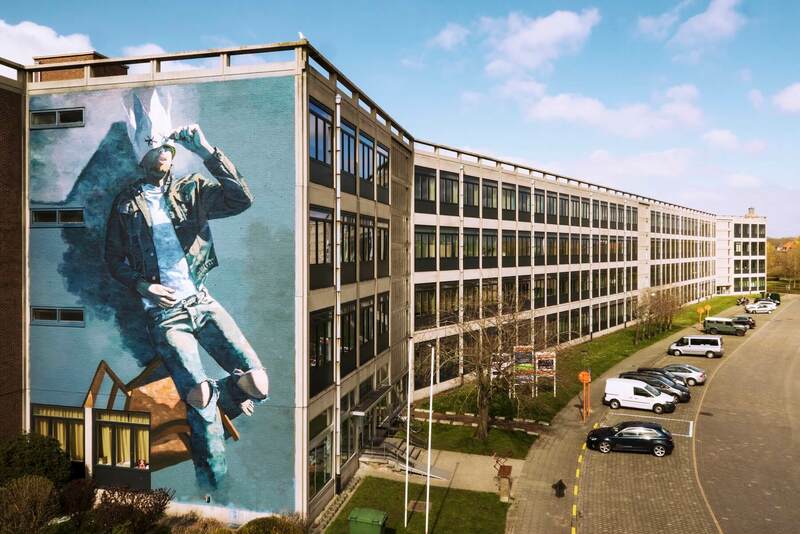 The town’s latest bid to attract the art crowd began in 2016 when 25 Belgian and international street artists were let loose on the city’s blank walls. Repeated every year, the Crystal Ship art festival has now brought more than 70 works to the town, from Isaac Cordal’s tiny figure on a balcony to Bué the Warrior’s bird on the Casino wall. But the most ambitious project so far is the redevelopment of the Oosteroever district on the east side of the harbour. Up until recently, no one came here, apart from local fishermen. But a ferry link from the Visserkaai – behind the stalls where fishermen’s wives sell fresh shrimps – has revitalised this area. 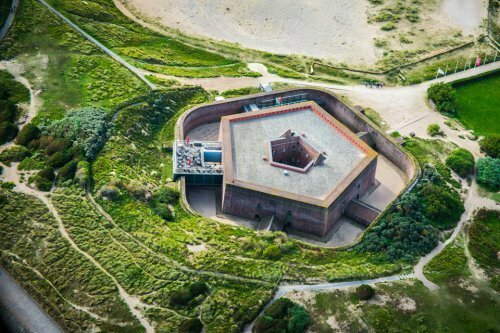 It is fascinating to explore this unknown quarter with its mix of abandoned fishing boats, old military bunkers, a Napoleonic fort and windswept dunes. But the raw atmosphere may not last much longer as the East Bank has now been discovered by property developers and new apartment buildings are rising above the old harbour and along the edge of the vast inland reservoir Spuikom. For a brief few weeks in early 2019, it almost seemed as if Drooghenbroodt might see his dream come true. The British government wanted a new ferry route between Ostend and Ramsgate to bring essential medicines to Britain in the event of the country leaving the EU without a deal. But the plan quickly turned into one of those farcical, half funny half tragic, Brexit dramas. 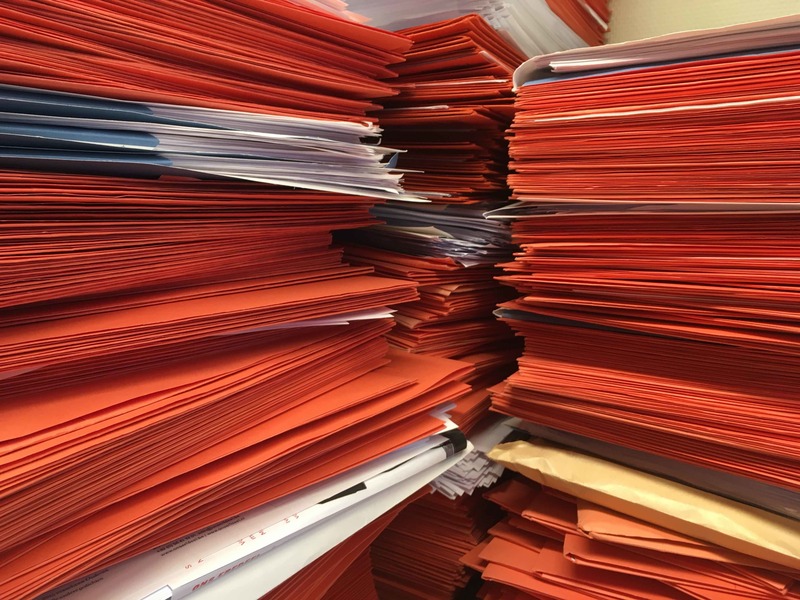 The British transport minister had secured a deal with three ferry companies, but one of the companies, Seaborne Freight, turned out to have no ships, no freight experience and a contract copied from a pizza delivery firm. The plan was finally scuppered when it emerged that the harbour at Ramsgate was too small for modern freight ships. Maybe Ostend should stick to culture. The town is now a stimulating weekend destination with its museums, trendy restaurants and hip coffee bars. It has also developed a strong programme of events, from Theater aan Zee to the Ostend Film Festival. With its sweeping view of the North Sea, café-gallery BeauSite has become one of the new art hotspots. The Art Deco interior is filled with an odd mix of vintage plastic furniture, satirical prints and ornaments. 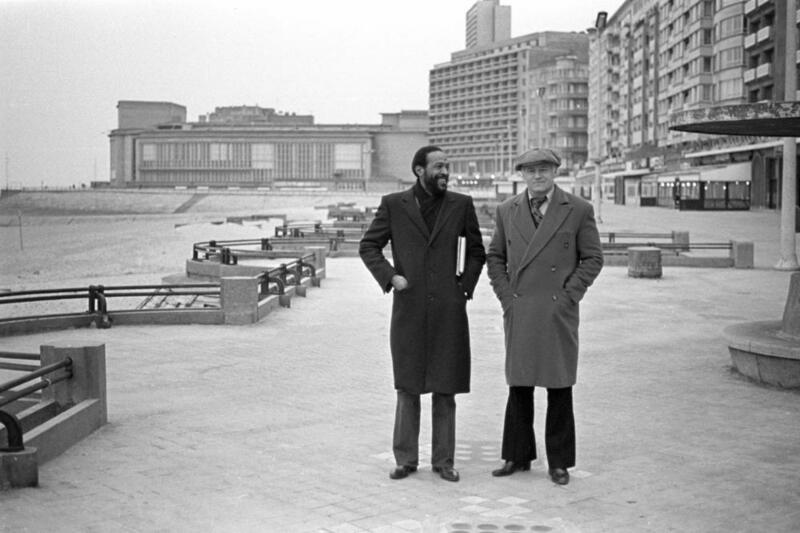 But perhaps the most intriguing object is a large photo of Marvin Gaye on Ostend beach. On a cold December day in 1981, the famous soul singer boarded a ferry to Ostend. Like many people washed up in this beach town, the Motown singer was running away from his past. Struggling with drug addiction, a broken marriage and money problems, he needed a sanctuary. The Ostend club owner Freddy Cousaert came to his aid. He put him up in his seafront apartment at Albert-I promenade 77 and encouraged the singer to go for healthy walks in the dunes. “I’m an orphan at the moment,” Gaye complained in an interview, “and Ostend is my orphanage”. And yet the sea cure briefly worked. Gaye wrote the soul song Sexual Healing while living in Ostend. Considered one of the greatest love songs of all time, it can be tracked down on YouTube, where the original video has logged almost 85 million views and more than 12,000 comments. “Chances are someone is getting laid to this tonight,” someone recently commented. In 2012, the tourist office hit on the inspired idea of launching a two-hour documentary walk in the footsteps of Marvin Gaye. Two years later, a memorial plaque was embedded in the paving outside the apartment building where Gaye composed the song.